The N Series. The truck for everybody. 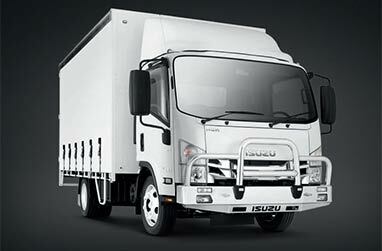 The Isuzu N Series has been Australia's number one light truck for over 27 years*. And no wonder. 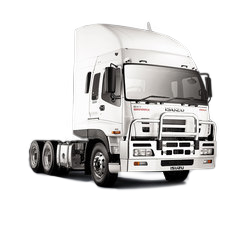 With its combination of safety, performance, drivability, comfort, low operating costs, productivity and our legendary Isuzu reliability, it's a no brainer. Choosing exactly the right N Series, however, requires some serious thinking. 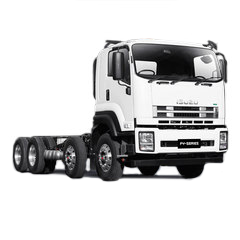 Choose from single cabs, crew cabs, tippers and 4x4s with various engines and transmission combinations. *Acording to T-Mark Industry statistics. Our N Series comes 68 different ways. All the details can be found below, but here's the overview. 61 4x2s. three AWDs and four 4x4s. 51 single cabs, 17 crew cabs and 14 tippers. So whatever your load, we can share it. 5-speed and 6-speed manuals and 6-speed AMT. Short, medium and long wheelbases. Suspension driver’s seat (NPR and NQR single cab). First-class cabs come standard with three seats (six or seven seats in crew cabs). 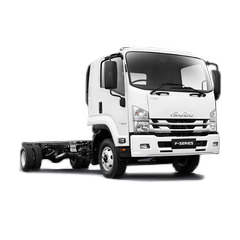 Isuzu Electronic Stability Control (most models). DAVE media system, with digital radio, DVD, MP3, voice-control and Bluetooth. 4-wheel disc brakes (All 4x2 models). Where the N Series range starts, but they're anything but basic. 5-speed manual or 6-speed automated manual transmission available on most models. Ready-to-go tipper model, crew cab model and a variety of wheel bases to suit the body tyoe you want. Isuzu diesel 110kW (150PS) engines. 5-speed manual or 6-speed AMT with Park Pawl and Torque Converter. 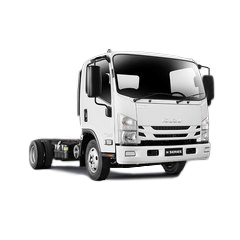 Isuzu Electronic Stability Control (all NLR models). First-class cabs come standard with three seats (six seats in NLS crew cab models only). Ample storage and drink holders. 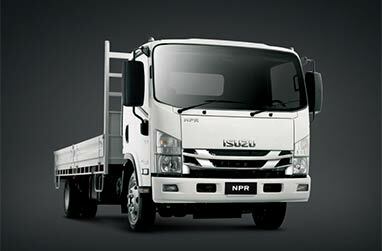 The N Series Wide Cab range starts with the 110KW (150PS) NNR models and goes through to the 114KW (155PS) NPR models. Also available are 4x2, crew cab, 4x4 and ready-to-go tipper options. 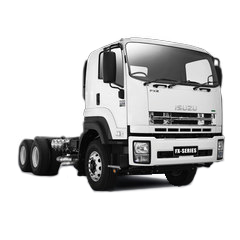 Isuzu 3.0 litre 110kW (150PS), 5.2 litre 114kW (155PS) or 140kW (190PS) diesel engine. 6-speed manual or 6-speed AMT standard with Park Pawl and Torque Converter* (NNR models). Integrated climate control (NPR, NQR models). Isuzu Electronic Stability Control with 4-wheel disc brakes (except NPS 4x4 models). Driver’s suspension seat (NPR single cab models). First-class cabs come standard with three seats (seven seats in crew cabs). Chrome grille and fog lamps on all NPR models. 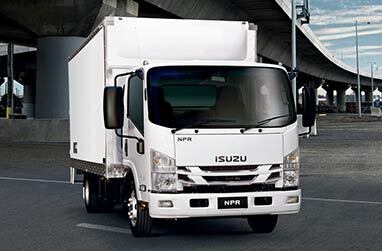 The 8,700kg GVM NQR is the biggest of the N Series fleet, so it's the King of Australia's light trucks. Both in sales and supremacy. 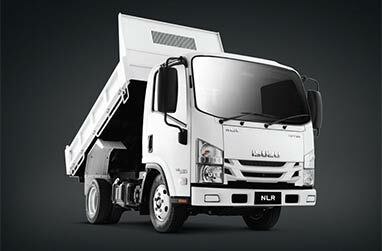 It comes as a single cab-chassis, crew cab and ready-to-work tipper. And it comes extremely well equipped. Isuzu 5.2 litre 140kW (190PS) diesel engine. 6-speed manual or 6-speed AMT. Integrated climate control (except Tipper). Chrome grille and fog lamps. Cruise control and multi-info display (models with AMT). 130kg capacity suspension driver’s seat (single cab). Features IESC, HSA and ASR.